In short: hearing aids help you hear better if you experience a hearing loss. 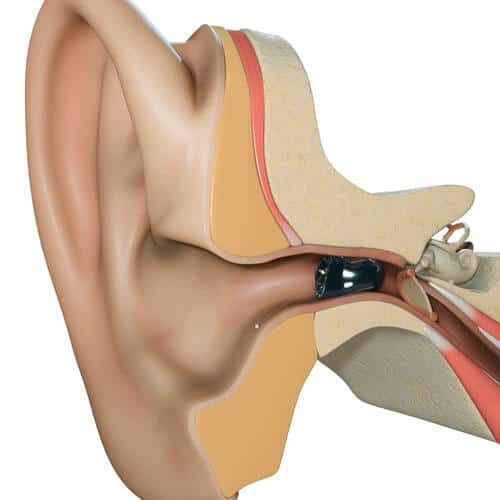 Regardless of the style and model, hearing aids consist of similar elements. Inside each hearing aid is a computer chip that helps with processing and amplifying sound, a battery that powers the device, and a speaker that sends amplified, processed sound to your ear. Working in conjunction, hearing aids improve conversations, filter out environmental sounds, and help you process the sounds you want to hear. These powerful devices capture a range of sounds, from live music to the quietest whisper. There are a number of common hearing aid styles, which are designed to suit different lifestyle and health needs. 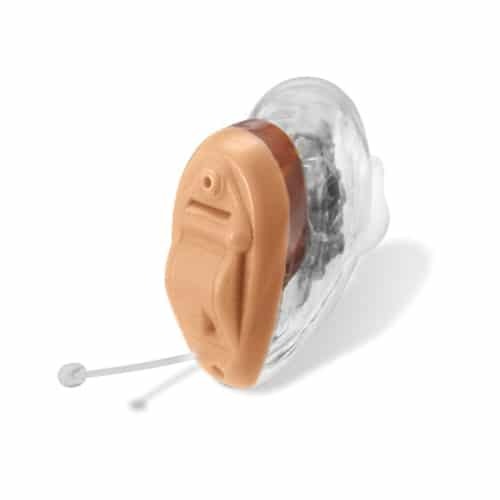 BTE hearing aids consist of two main parts: a plastic casing that sits on top of your outer hear and houses the hearing aid’s electronical components, and a tube that connects to a custom ear mold that rests inside your ear canal. BTE hearing aids treat moderate to severe hearing loss and are prized for their flexibility and ease of use. BTE hearing aids come in a number of sizes, with many manufacturers now offering miniBTE devices. RITE/RIC hearing aids resemble BTE hearing aids in appearance, with the speaker resting in the ear canal, connected to the electronic components through a thin tube. ITE hearing aids rest – as they are named – inside your ear bowl. Half shell and full shell models are available. ITE hearing aids provide a longer battery life and can treat a wider range of degrees of hearing loss. They are more visible than other hearing aid styles and are often the choice of people who wear glasses. CIC and IIC hearing aids are prized for their discrete aesthetic – often times, they are not noticeable at all when they are worn. In some cases, CIC or IIC hearing aids may have to be inserted by a hearing professional, as they are placed deep inside the ear canal. While they are discreet, CIC and IIC hearing aids tend to treat lower degrees of hearing loss and may not be suitable for more severe cases. Hearing aid manufacturers have embraced technology and utilized it to give those who need to wear the devices a remarkable listening experience. New models are equipped with advanced speech recognition features to help you access conversations with ease and filter out background noise in loud environments. Hearing aids with Bluetooth features now offer the ability to interface with other technology such as your smartphone, your television, or your computer. After a comprehensive exam and consultation, our team at Professional Hearing Services will help you find remarkable listening devices suited to your lifestyle. We’ll work with you to ensure that you are familiar with your devices, from handling the available technology and accessing all of the excellent features to help you experience life and listening to the fullest. 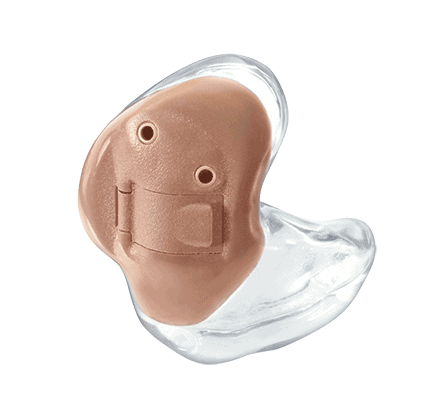 At Professional Hearing Services, we offer hearing aids from a wide variety of premium manufacturers. Our most popular brands include Starkey, Phonak, Signia, Oticon, Unitron, and Widex. Each manufacturer offers unique features and various lines designed to help all types of hearing loss as well as all sorts of budgets. Starkey is an innovator in made for iPhone hearing aids. Their devices are small, sophisticated and technological advances that have virtually eliminated feedback and other issues. Their Halo 2 i2400 hearing aids are iPhone compatible, allowing you to control your experience through a simple downloadable app for your phone. Phonak is known as an innovative manufacturer that prides itself on making hearing aids that wearers find as simple to use as eye glasses. 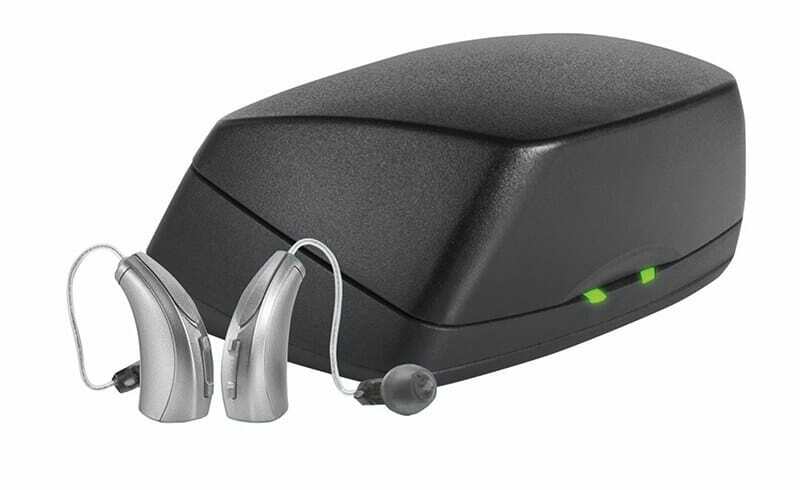 Featuring wireless connectivity, the Audeo B Direct 90 is a rechargeable hearing aid with quick charging and flexibility for active hearing aid users. 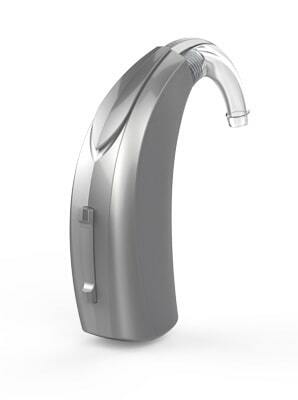 Oticon has developed their hearing aids with the idea of complete sound processing. Called “BrainHearing,” the technology mimics how the brain processes sound. Combined with state-of-the-art technology, the OPN-1 has incredible sound processing options that gives users great access to all sounds in their environment. Unitron promotes conversation processing as a big advantage to their hearing aids. Unitron models are contemporary and discreet. The Moxi All offers wireless connectivity and a special adaption feature that automatically adjusts to moving from noisy to quiet environments. 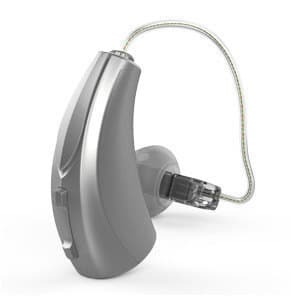 Widex is known for the “Widex Sound” which provides the user with a rich listening experience. Their latest model, the Evoke 440 Fusion, feature wireless connectivity and geotagging. Your hearing aid remembers adjustments you made in certain places and the automatically makes them again when you go back to those places. We bring modern hearing care solutions directly to your primary residence.